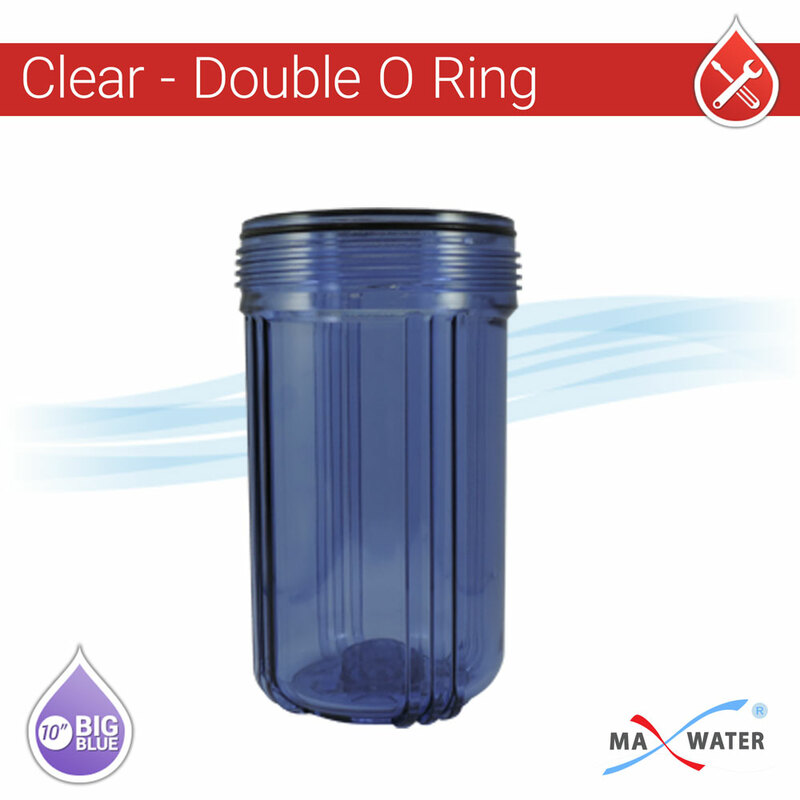 10"x 4-1/2" Double O Ring water filter clear housing , 3/4" NPT with pressure release button and pressure gauge hole. 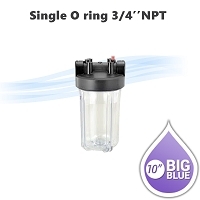 Home > Parts > Filter Housings > 10" x 4.5" Big Blue > 10"x 4-1/2" Double O Ring water filter clear housing , 3/4" NPT with pressure release button and pressure gauge hole. Standard Filter Housing, made from durable polypropylene / clear Styrene-Acrylonitrile (SAN). Reinforced polypropylene housing have excellent chemical resistance and ideal for many residential and commercial applications. manufactured from FDA compliant Styrene-Acrylonitrile (SAN). 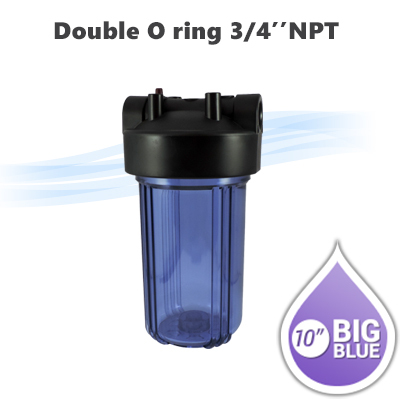 10"x 4-1/2" Big Blue Double O ring water filter housing 3/4" NPT, With pressure release button & pressure gauge hole. 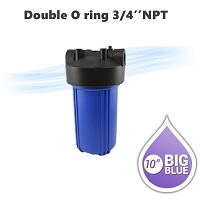 10"x 4-1/2" Big Blue water Double O ring Filter housing 1" NPT, with pressure release button & pressure gauge hole. 10"x 4-1/2" water filter clear housing, 3/4" NPT with pressure release button & pressure gauge hole. 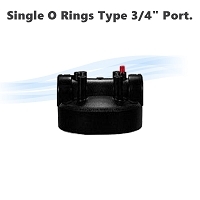 Replacement head for 10" & 20" Big Blue housing Single O Ring type 3/4" port. 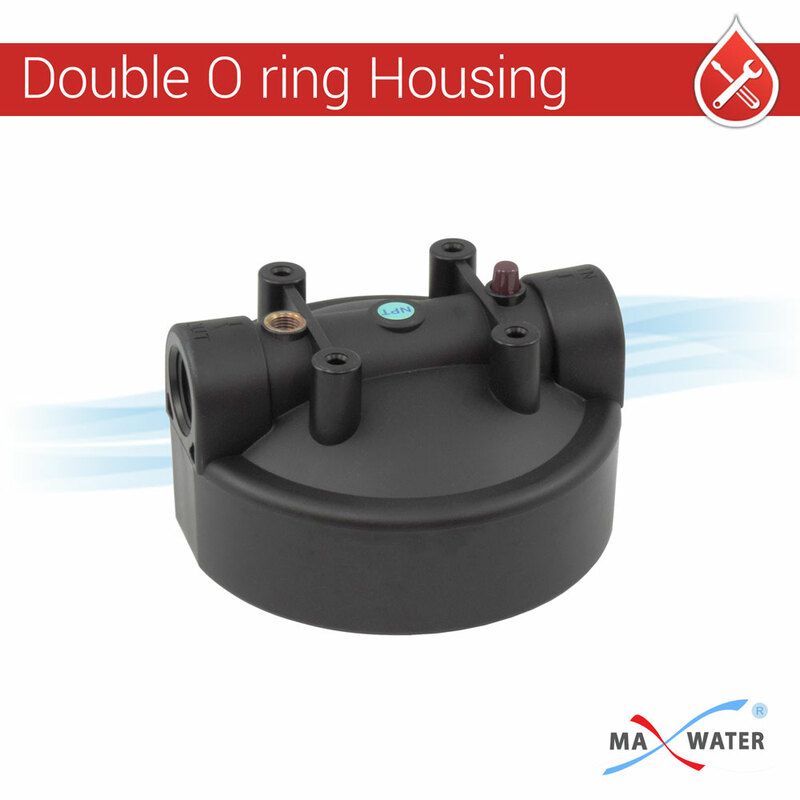 Replacement head for 10" & 20" Big Blue housing Double O Ring type 1" port. 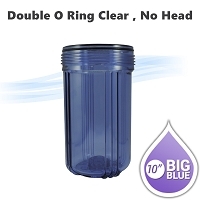 10"x 4-1/2" Water Filter Double Clear Housing Only , No Housing Head Included.